I’ve never been one much for chick flicks, really, but this is one that I absolutely must catch every time it comes on. And in between, too, since it’s on Amazon Instant Video. And this is perfectly timed, since (for other people) we’re entering the Spring Break days. 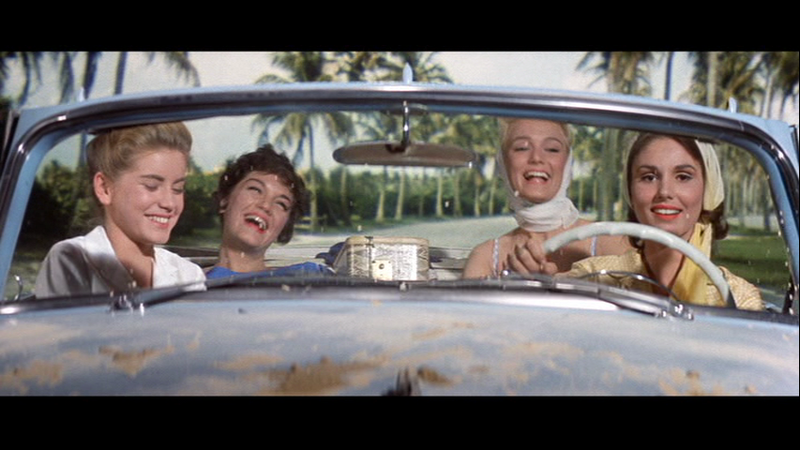 Merritt (Dolores Hart), Angie (Connie Francis), Melanie (Yvette Mimieux), and “Tuggle” (Paula Prentiss) are all college freshmen eager to escape the great white north to sunny Florida for Spring Break for some romance and fun in the sun. None of them have been lucky in love so far. Angie is the captain of the female hockey team and stout. Tuggle is 5’10”. And a half. Melanie is a hopeless romantic from a tiny town and has never even had the chance to meet a boy she hasn’t known her whole life (they attend an all-female college). And Merritt has a MENSA-qualified IQ and can’t find a guy who keeps her interest. All of them are hoping Spring Break will work its magic and overcome these obstacles to romance. They arrive in Ft. Lauderdale and encounter a variety of college guys from around the country, among 40,000 other college students. Tuggle meets “TV” Thompson (Jim Hutton), who is not only taller than she is, but likes tall girls. Merritt meets Ryder Smith (George Hamilton), who is not only handsome and intelligent, but the heir to a multi-million dollar fortune. 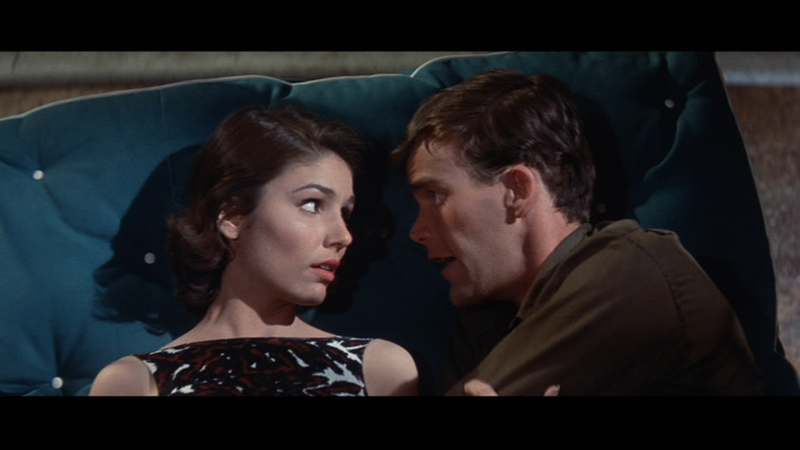 Angie finds a quirky beatnik (Frank Gorshin) and learns to tap into her more feminine side. And Melanie finds that cute, naïve blondes are more popular than she ever expected when she gets mixed up with a group of buddies down from the Northeast. Thus ensues the age-old battle between the team looking for relationships and the group just looking for some easy fun. Throughout the movie this theme is revisited over and over. Angie and Basil’s relationship is primarily for comic relief, but the other three come against some serious impasses. Tuggle announced at the beginning of their manhunt that “I’m going to try for a man the chaste way,” much to TV’s dismay. Merritt challenged her professor over female sexual liberation, but soon learns that academia isn’t necessarily real life. And Melanie, poor Melanie, learns the hard way that not all men that show interest in a girl are actually interested in a girl. It’s not a flawless movie. The fact that a couple of the girls are going into a week-long vacation expecting to come out of it with long-term commitments from guys they don’t even know yet is unrealistic, except in movieland. Also – trying really hard not to spoil anything – when Melanie’s story takes a dark turn, there’s a very unsatisfying lack of resolution. In fact, in my opinion, it’s the most flawed and dated portion of the movie. “Where the Boys Are will be on TCM on Sunday, March 24 at 11:00 am CST. That SO sounds like my kind of movie! I can't wait to see it!